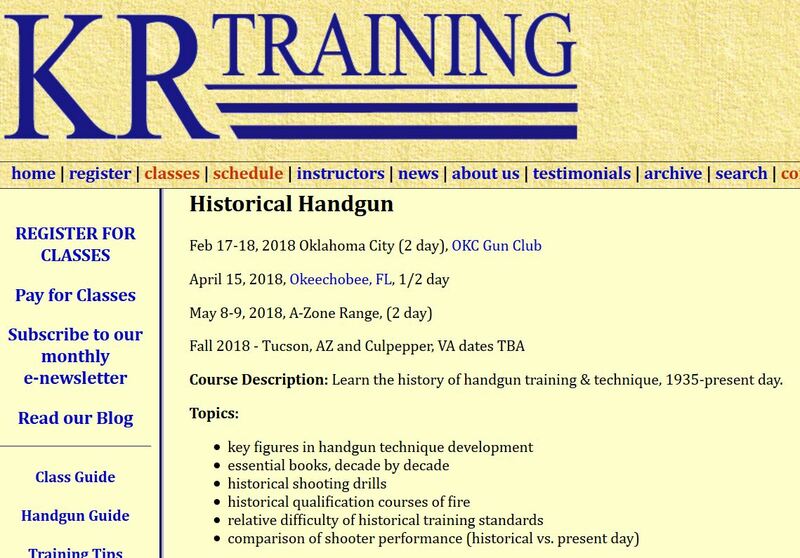 The chapter on the private citizen gun training industry is just one of five or six planned chapters of my book on Gun Culture 2.0, but it is has been the most interesting to research and write. 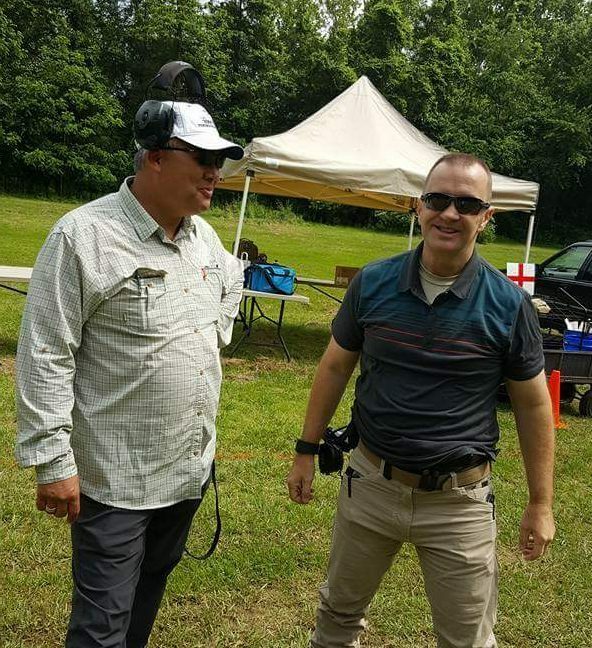 Although I have attended quite a few gun training events over the years, including the foundational MAG-40 class back in 2012 and Rangemaster Tactical Conference in 2014, I committed myself to more extensive observation in 2017. Although I am supposed to be winding down my observations of training to work on the other chapters of my book, it’s hard to pull myself away, especially when I see alot of people posting their training schedules — both as trainers and as end-users — for 2018. So, following suit, here are the events I am planning to observe in 2018, along with trainers that are on my “wish list” — most of whom I will not be able to observe given resource limitations. 1. 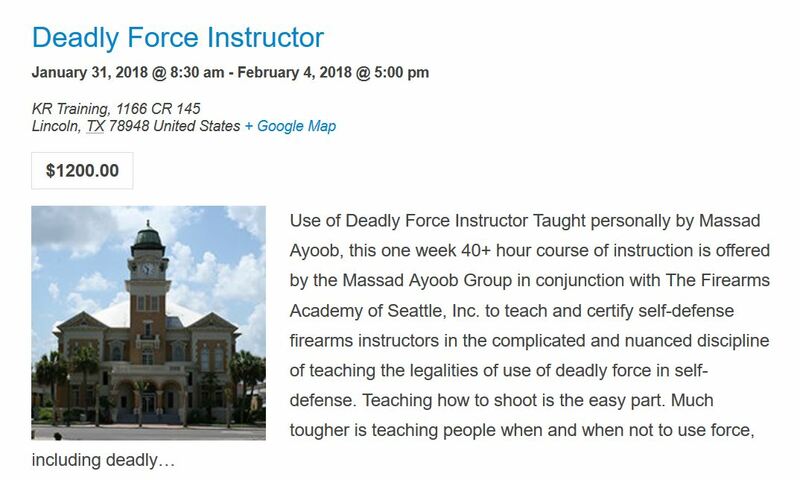 Massad Ayoob Group and Firearms Academy of Seattle, “Deadly Force Instructor,” 31 January to 4 February 2018, hosted by Karl Rehn of KR Training, Manheim, Texas. 2. 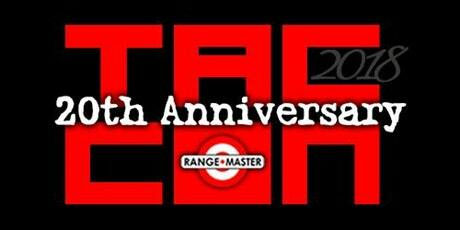 Rangemaster Tactical Conference, 16 to 18 March 2018, Direct Action Resource Center, Little Rock, Arkansas. 3. 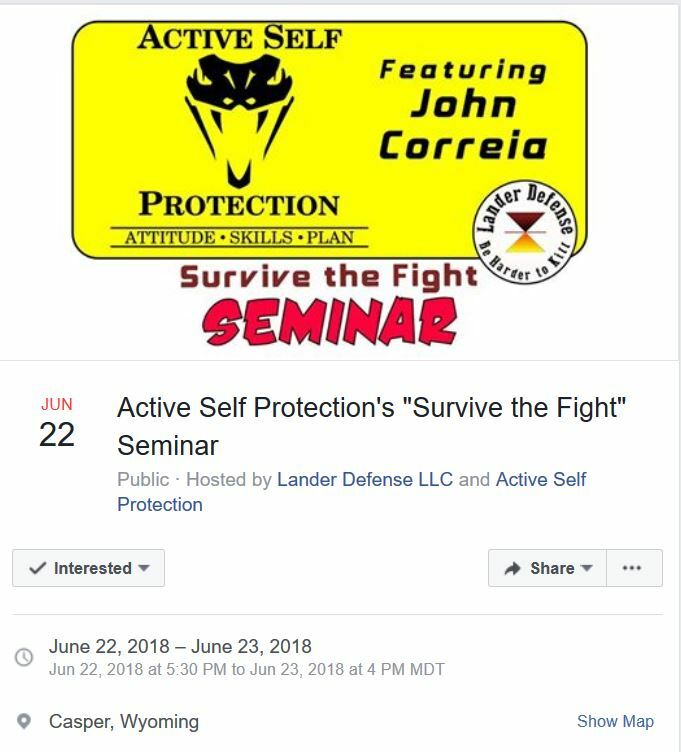 Active Self Protection featuring John Correia, “Survive the Fight” seminar, 22-23 June 2018, hosted by Lander Defense, Casper Wyoming. 4. 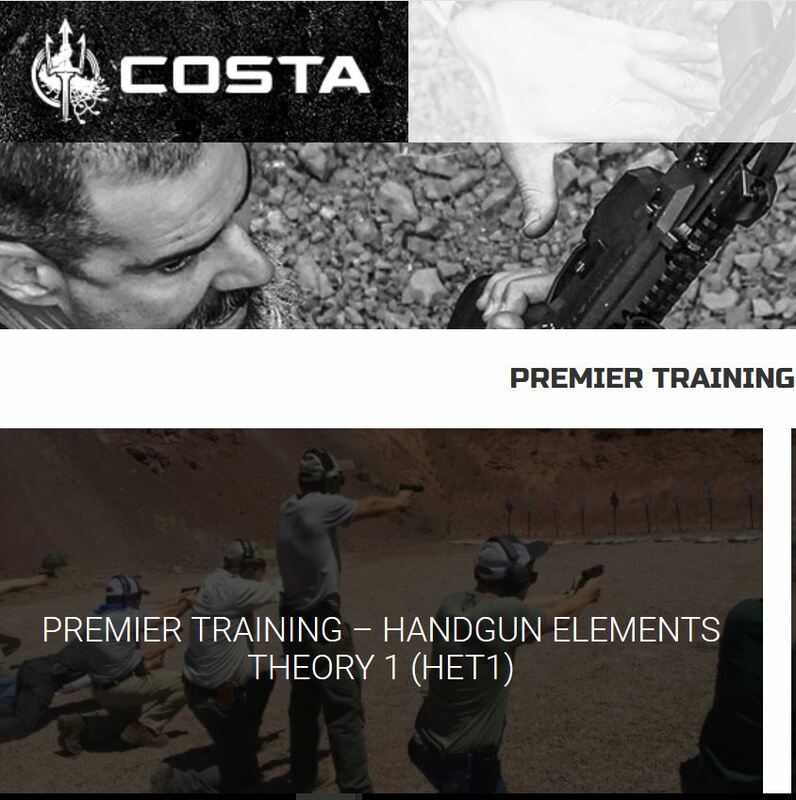 Costa Ludus, “Handgun Elements Theory 1 (HET1), 29 June to 1 July 2018, Thayne, Wyoming. 6. 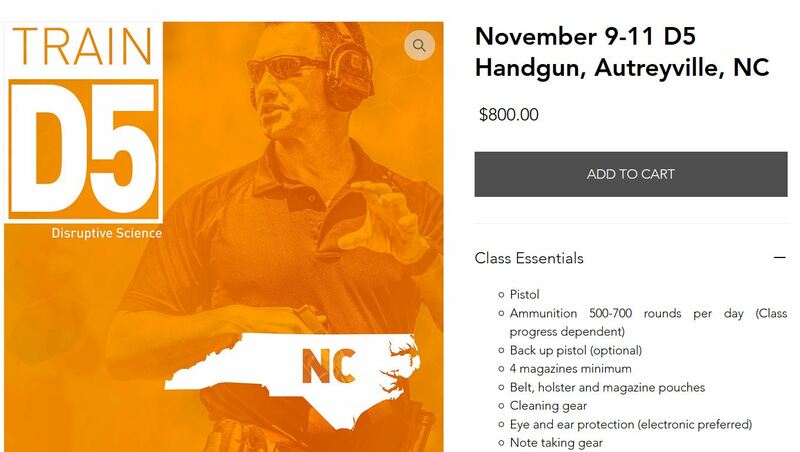 Haley Strategic Partners, D5 Handgun, 9 to 11 November 2018, Autreyville, North Carolina. Tags: Active Self Protection, Chris Costa, Costa Ludus, John Correia, Karl Rehn, Massad Ayoob, Rangemaster. Bookmark the permalink. Thank you for putting us on your wish list! Hope to see you soon. You’ve already surpassed most in your commitment to learn. Most put their money where their gun is ($2K Glocks) and their time into endless forum-posturing and Instagram peacocking. Software > Hardware…you get it more than the never-a-commando commandos, sir.